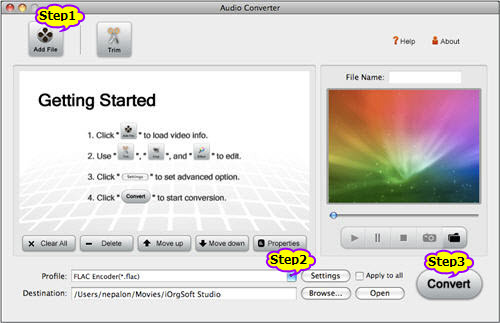 Prepare: Download Audio Converter for Mountain Lion. Install and launch it. Step 4: Add OGG to iTunes to Play OGG in iTunes or transfer to iPad, iPod, iPhone, ect. Simply drag the converted MP3 to iTunes, now you can play Ogg in iTunes on Mac, Lion, Mountain Lion and just enjoy it!